Sai Kung is beautiful. 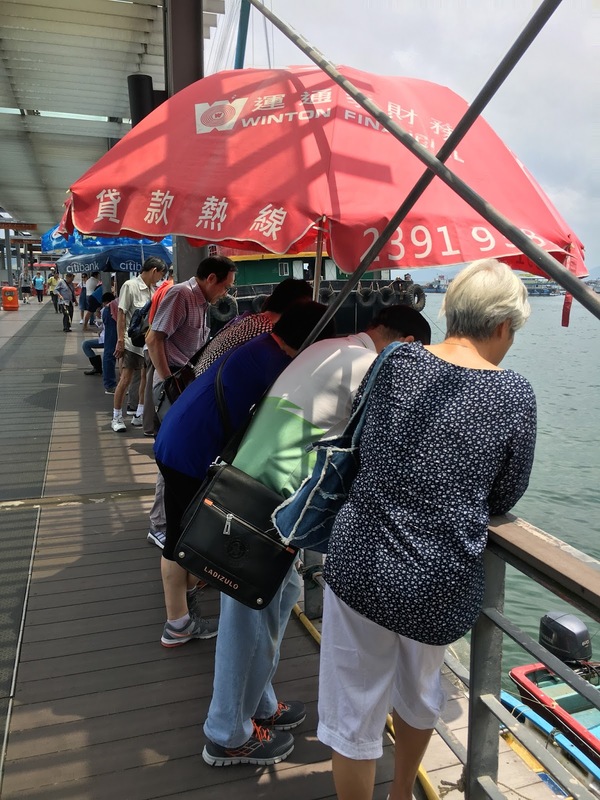 Initially, I wanted to do a hike or a trail in Sai Kung but we decided not to strain ourselves too much on this holiday, so we just enjoyed a very chilled day by the waterfront. What are they looking at you ask? They are looking at the floating fish market. 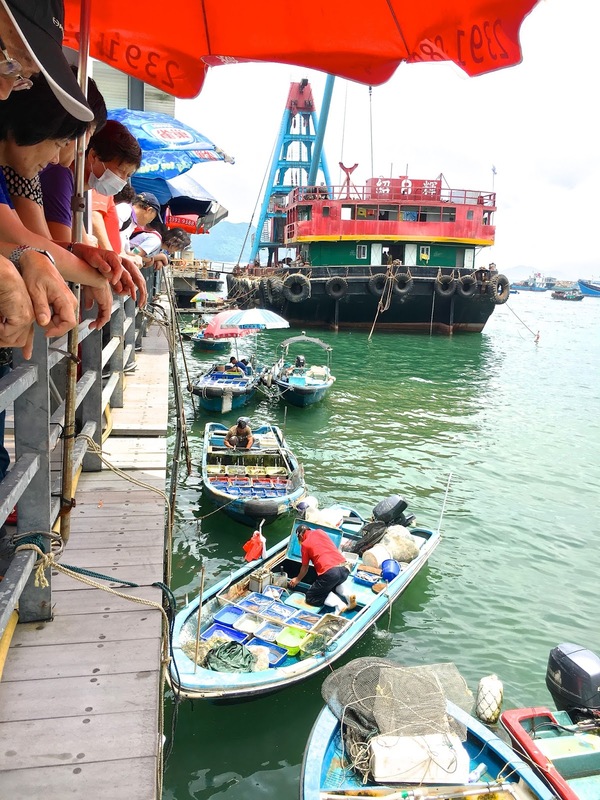 This is where the fishermen are casually selling their catch directly from their boat to the customers looking down. 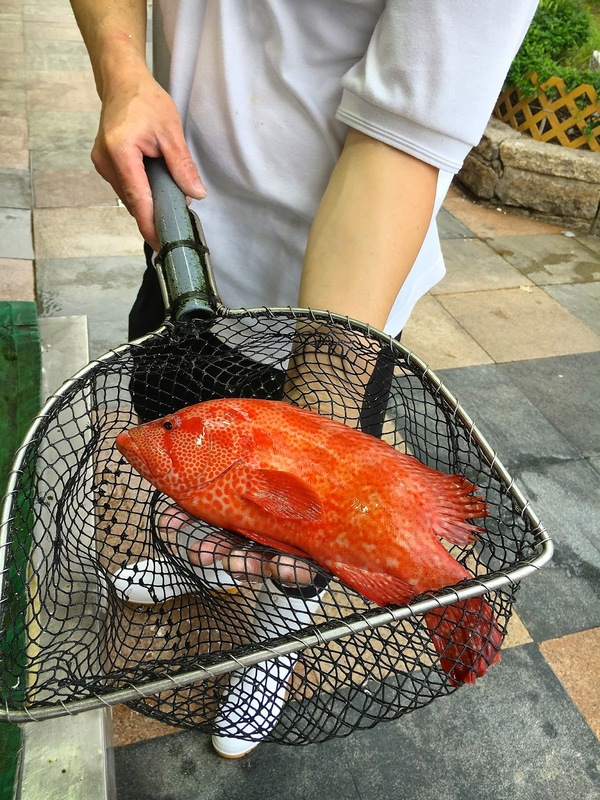 You cannot get any fresher fish and seafood than this! Once you are ready for your purchase, they will pull up your item in a basket and you just drop the money inside the basket in return. 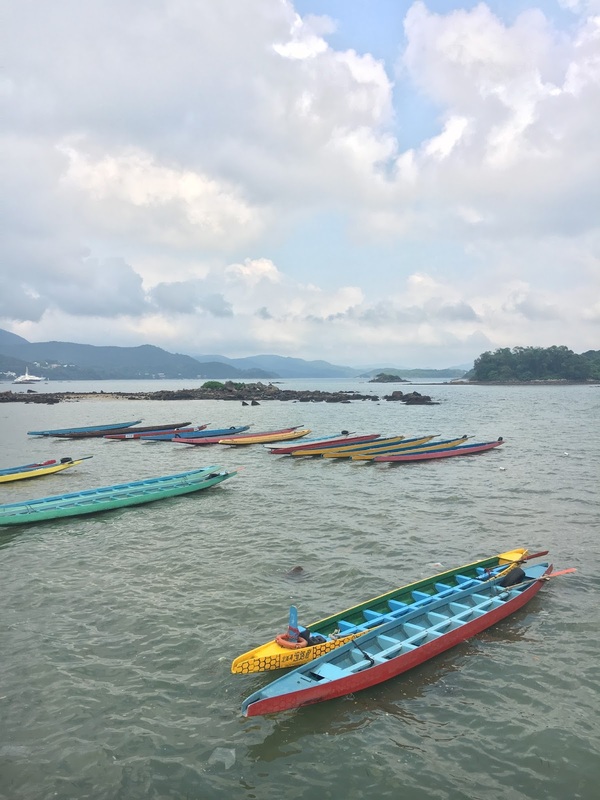 When in Sai Kung, you can also take boat trips and go island hopping. There are many tour guides or boat operators along the waterfront providing the service. You just need to know how to haggle to get the best price and confirm the itinerary with them. We didn't have time for any island hopping this time but we will surely come back some day to do it. It is now time for lunch! Woohooo!! Towards the end of the waterfront, there is a Gate that welcomes you to the 'Seafood Street'. This is where the seafood restaurants are found. There are a whole lot of them, so take your time walking up and down the street before choosing one to sit down. 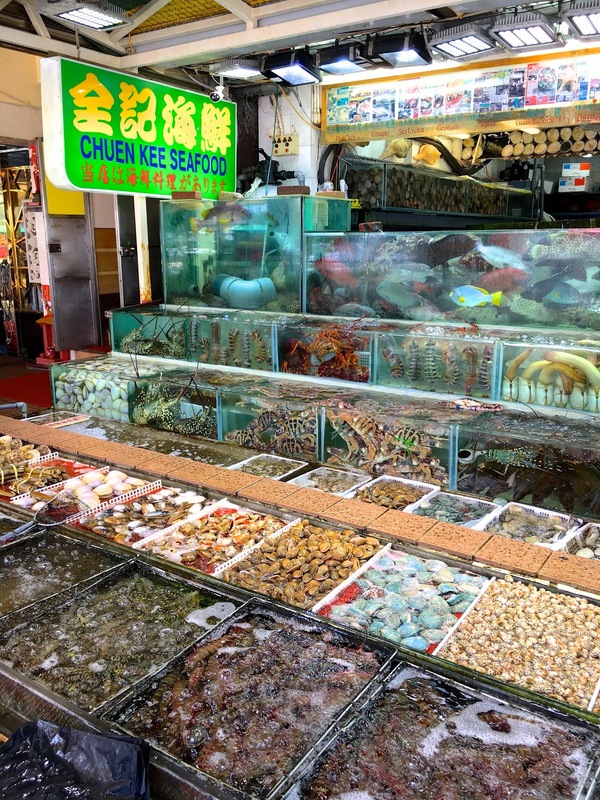 We sit down at Chuen Kee Seafood Restaurant. It is a popular one amongst the locals and has been running for a very very long time. Before you sit down, you get to choose your seafood fresh from the many baskets of shellfish, crabs, lobster, and all kinds of prawns, and then they get brought to the kitchen where everything is prepared and cooked especially for you. Unfortunately, even if I LOVE seafood, because of a bad allergic reaction I had to insect bites a few days ago, my father-in-law thought it was best for me not to eat any shellfish because that would make them scar... I was soooo disappointed! :( But it was for my own good. Thankfully, I could still have fish. With the help of the owner, we picked that red one to have it steamed chinese style with lots of spring onion. We also ordered some salt and chilli squid for the guys, a mix platter to share ( cha siu, crispy pork and jelly fish) and some veggie. The steamed fish was super yummy! It was fresh (of course!) perfectly cooked with really soft flesh and so tasty. Totally enjoyed this post! :) I truly need a getaway like that.